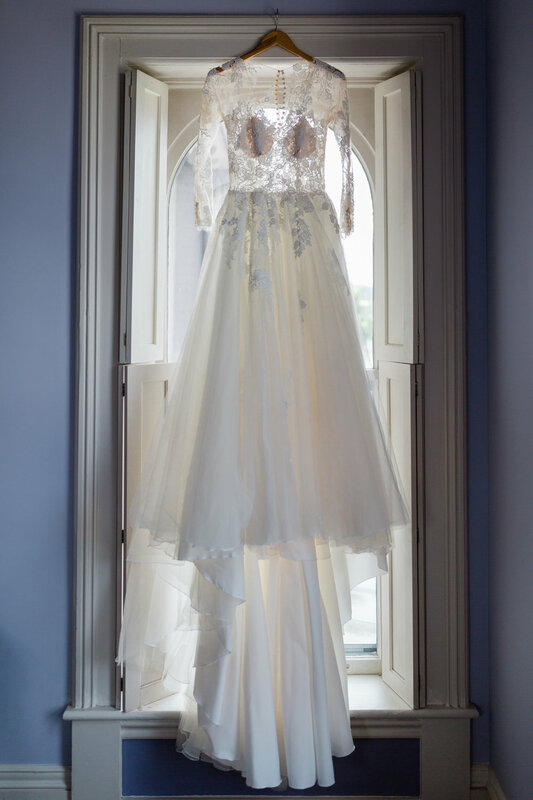 For decades, the Joshua Wilton House has been the gracious host of many weddings. 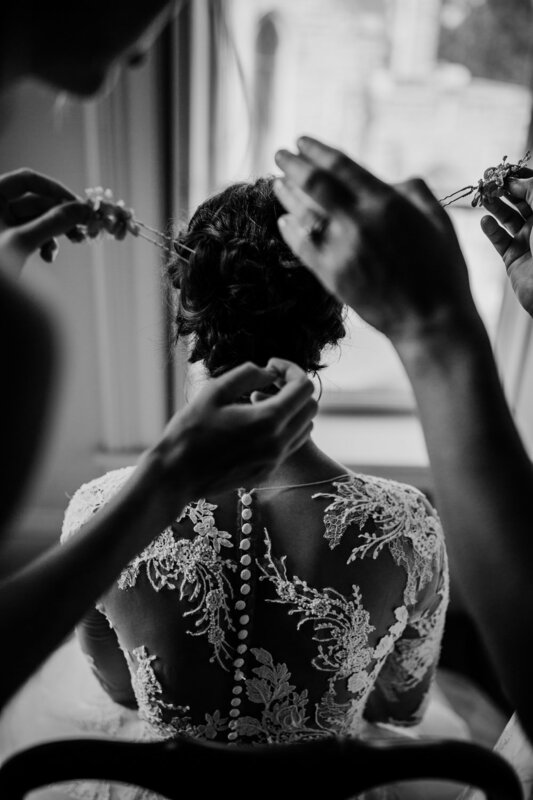 We strive to alleviate the stress of planning a wedding by offering not only a stunning venue, but also exquisite cuisine, decadent wines, knowledgeable staff, and stunning wedding cakes. Our home offers a spacious, yet intimate fine-dining restaurant on the first floor, complete with a bar & lounge, wrap-around porch, and stunning patio space. We have both indoor and outdoor ceremony sites which can accommodate up to 40 guests each. Additionally, we offer 5 historic inn rooms: our Honeymoon suite complete with turret windows and canopy bed, as well as 4 other inn rooms for the wedding party/immediate family. 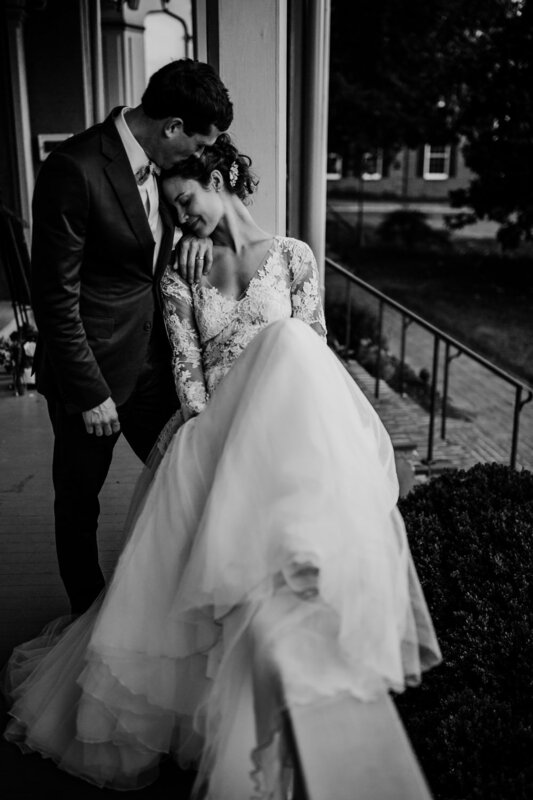 A stay at our inn relieves the wedding party from the hassle of booking miscellaneous hotel rooms, and instead makes preparation and photography exponentially easier. Visit our inn rooms page here to tour our rooms for yourself. Our French inspired, farm-to-table cuisine offers options which are sure to satisfy everyone in the family. The four focuses of our menu and cuisine are to offer to our guests ingredients sourced directly from the Shenandoah Valley prepared using classical French techniques while incorporating Southern flavors into our dishes with an emphasis on sustainable seafood. 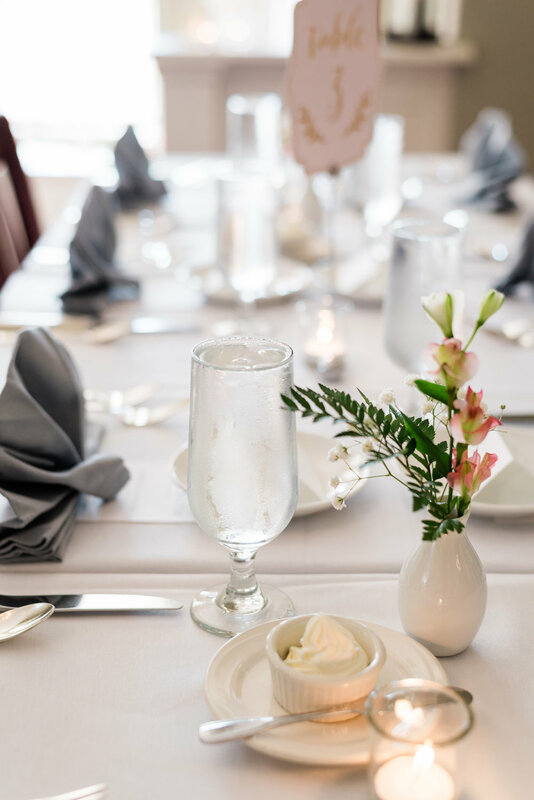 For prospective wedding couples, we offer a complimentary chef tasting to allow them to experience our chef's cuisine first hand and understand from a flavor perspective the values and integrity that we work towards daily. 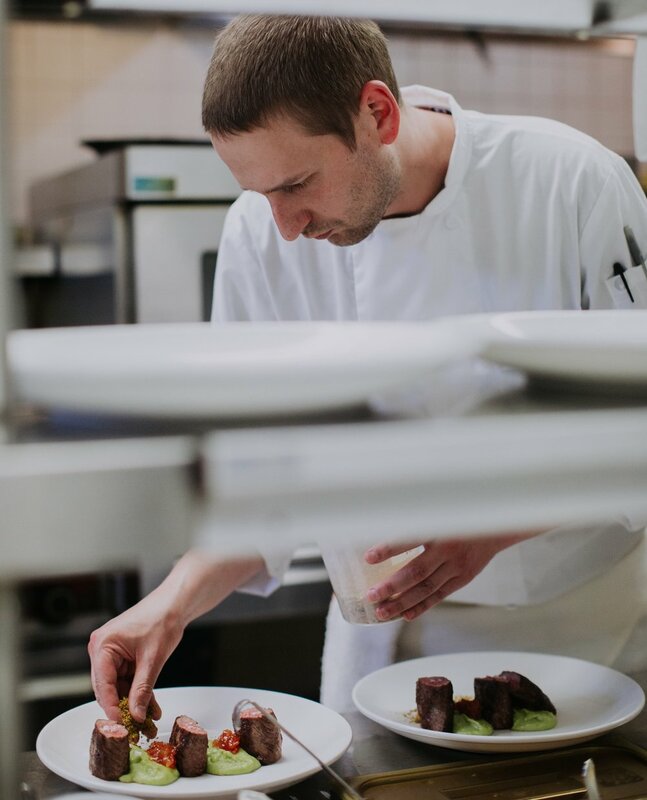 View our full dinner menu here for further understanding of our culinary team. In addition to our elegant venue and exquisite cuisine, the Joshua Wilton House wine list carries a wide array of some of the best wines from around the world. With two sommeliers under one roof, our wine program strives to offer approachable options ranging from classic varietals sourced from long established regions to lesser known grapes from newly producing areas in the world that are gaining reputation. Winning the Wine Spectator’s Award of Excellence in 2018, the Joshua Wilton House carries something for everyone. We work with each couple to find the best fit for your guests, and are happy to research and order-in wines specific for your special day. Additionally, our full bar and local craft beers are readily available for those wishing to try something unique to our home. Finally, our very talented bar manager is happy to collaborate with the wedding couple in creating signature cocktails for their event.